If you are looking to transform your Tunbridge Wells property, a beautiful new set of double glazed windows from Buy Right are the way to go. Our windows are made from the highest quality materials to ensure excellent performance all year around. All our window designs meet the highest standards of durability, security and energy efficiency, while also being low-maintenance and aesthetically pleasing. Our Tunbridge Wells double glazed windows are as cost effective as it is high quality. With our friendly team on hand to fit your windows and help you through the process from start to finish, your experience will be as non-disruptive as possible. Our Liniar double glazing offers you a high quality product without breaking the bank. These windows are a highly attractive window for any property because they are high performance and feature beautifully sleek sightlines. They create the perfect sleek and crisp aesthetic for any home. If you are looking for the benefits of modern windows without sacrificing the traditional look of your home, these windows are perfect for you. With A-energy rating and thermally efficiency, these uPVC windows are far better at retaining heat than their timber counterparts. This clever window design is the perfect marriage of ventilation and easy-maintenance. 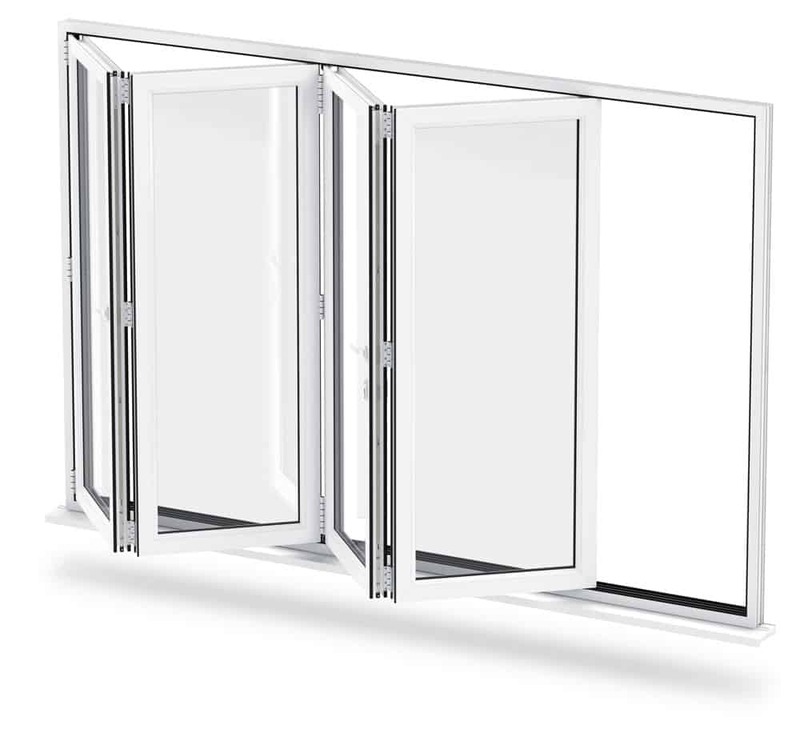 The vertical opening allows for a high level of air flow, while the horizontal opening allows for ease of cleaning. These windows are just as suited for a high-rise building as they are a bungalow. These windows are the perfect way to let natural light into your home. 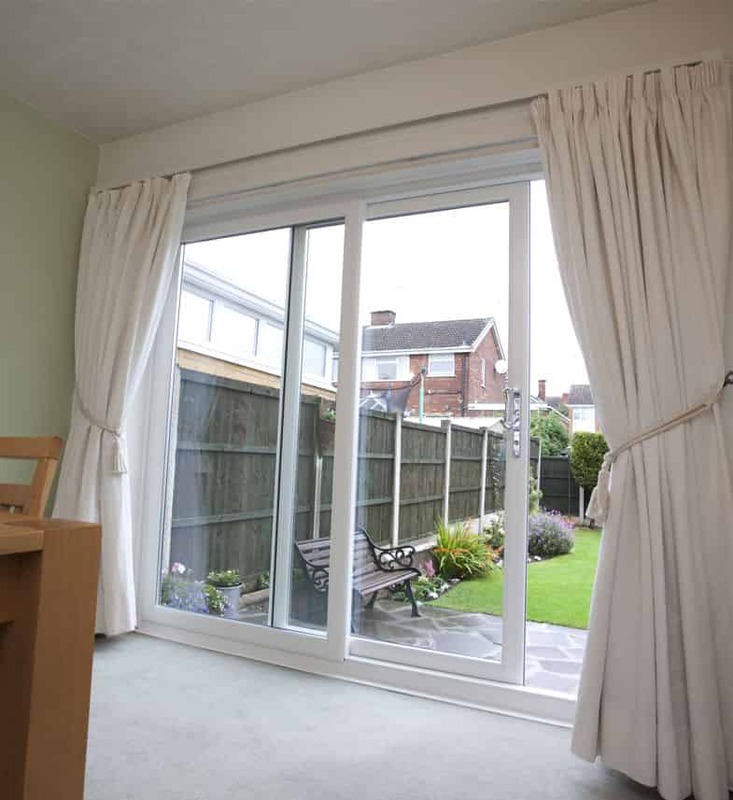 Ideal for any property, these windows allow for a wide, unobstructed view of your garden. The flying mullion creates a near-seamless transition between inside and outside. Our windows meet your size specifications, which means that no matter what size your home is, our windows are right for you. We carry a range of colours and also offer a bespoke selection. Our double glazed windows can be colour matched across our whole range to ensure a perfect match. In addition to being incredibly cost-effective, our double glazed windows can save you money on your heating bill. We use a high performance multi-chambered profile in all of our products to help keep warm air trapped inside, while keeping cold air and draughts out. Additionally, our uPVC windows offer a transparent metallic coating to reflect heat from the sun into your home. Our windows can also be engineered to meet an incredible A+12 Windows Energy Rating, which means incredible energy efficiency. This factor may make selling your Tunbridge Wells property easier as a buyer would have to complete fewer renovations to the home. All our double glazed windows have been specially engineered to meet the highest standards of safety and security. Buy Right double glazed windows feature the most state of the art Yale multipoint locking systems for optimal protection that will not let you down long term. 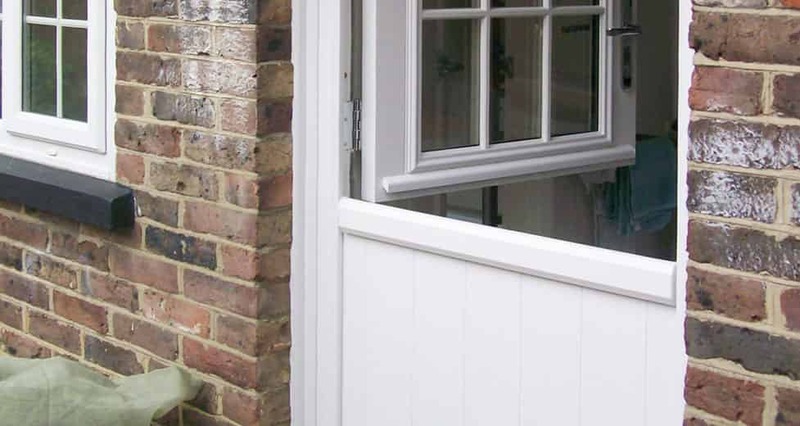 All of our products are made with high grade, inherently robust and durable uPVC, and are designed specifically to keep would-be intruders out. Many of our double glazed windows have achieved accreditation from the Metropolitan Police’s Secured by Design initiative, which means you can be confident products have undergone meticulous crime prevention testing. Enjoy the peace of mind of knowing that your property are safe and secure. Our Yale locks come with a 10 year mechanical guarantee, as well as a £1000 security guarantee should our product be found to be the entry point in a burglary. If this has piqued your interest and you would like to receive a free quote for one of our products, please visit our online quoting engine. A member of our experienced team will be on hand to deliver you a competitive price. If you have any other questions regarding any of our products, please contact us and a member of our team would be happy to answer any of your queries. Buy Right Windows offers double glazed doors to suit any Tunbridge Wells home and is the fore-runner in quality and cost-efficiency. We have the perfect door for any property with a broad range of styles and room for customisation. Our double glazed doors are made by Liniar who are market leaders in quality and always deliver incredible performance. Whether you need a new front door or want to break down the barriers between home and garden with a bi-folding door, we have something for you. Our double glazed doors are available in a range of beautifully vibrant colours to suit existing fittings and to perfectly augment your home. Choose from a vast selection of available colours or woodgrain foils, as well as a choice of double glazing styles. 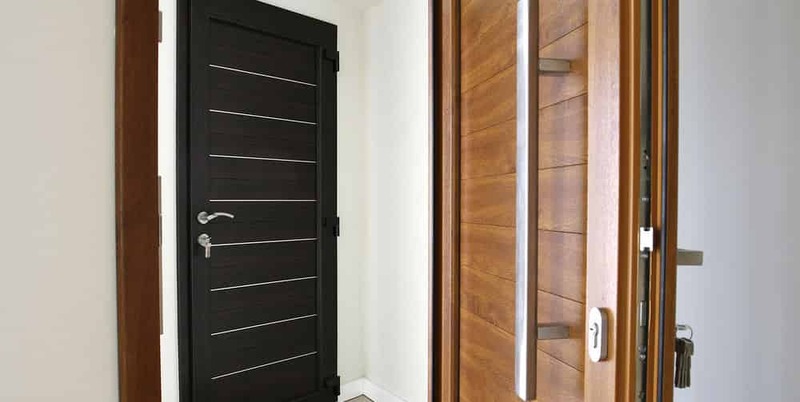 Whether your home is a contemporary space or something more traditional, we are sure to have the door for you. Whether you want something classic or a more modern style, you cannot go wrong with a Liniar uPVC door from Buy Right Windows. These double glazed doors are highly weatherproofed and offer great curb-side appeal. A composite door is a great addition to any home as it consists of a timeless design and a robust finish. These double glazed doors offer the outward appearance of timber, but with the energy efficiency and security of a modern door. These double glazed doors are perfect as a replacement for older doors on a traditional home, or as a beautifully timeless accent to a more modern property. The doors open partly or wholly, perfect for families with children and offer excellent ventilation. These double glazed doors are the perfect way to create a near-seamless transition between your house and garden – or just between rooms! These doors let in a tremendous amount of natural light to make rooms appear more spacious and better illuminated. These double glazed doors are stylish and secure for modern or period properties. Our patio doors are both weather resistant and durable. These doors maximise space due to their sliding panels, ideal for smaller properties as well as bigger ones. Our beautiful bi-folding doors are the perfect way to create a fluid transition between your home and your garden or to create an open plan home. Choose from a number of opening options and panel configurations to suit your needs and preferences. Naturally, one of the most important facets of a door is its security, and our double glazed doors are no exception. Our doors are precision engineered to be incredibly robust and enduring and are inherently sturdy. 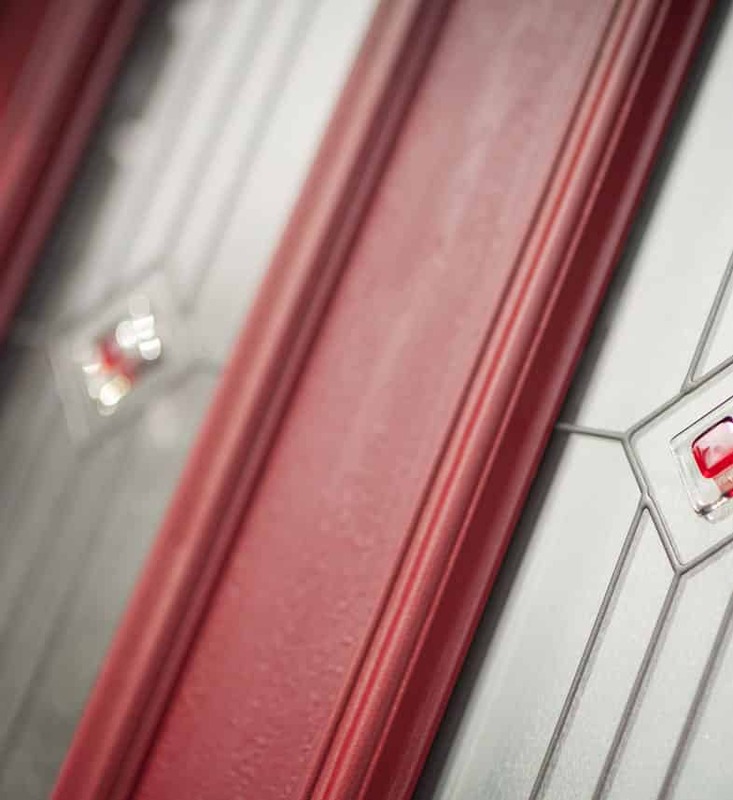 We also fit our doors with state-of-the-art locking systems from Yale to ensure optimal safety and security. Our Yale locks come with a 10-year guarantee, so you can sit back and relax knowing that your home is safe for years to come. Our doors have also undergone rigorous testing necessary to achieve Secured by Design accreditation. That means our doors have been proven to withstand physical attacks and other break-ins. With a door from Buy Right Windows, your home is your fortress. Thermal efficiency is great for the environment but for your wallet too. We use a Liniar multi-chambered profile, which traps warm air inside your home but keeps out draughts and cold air. Our doors maintain the warmth in your home and protect it from all that a British winter can throw at you. Naturally, with all that hot inside your home, your heating bills will decrease noticeably. 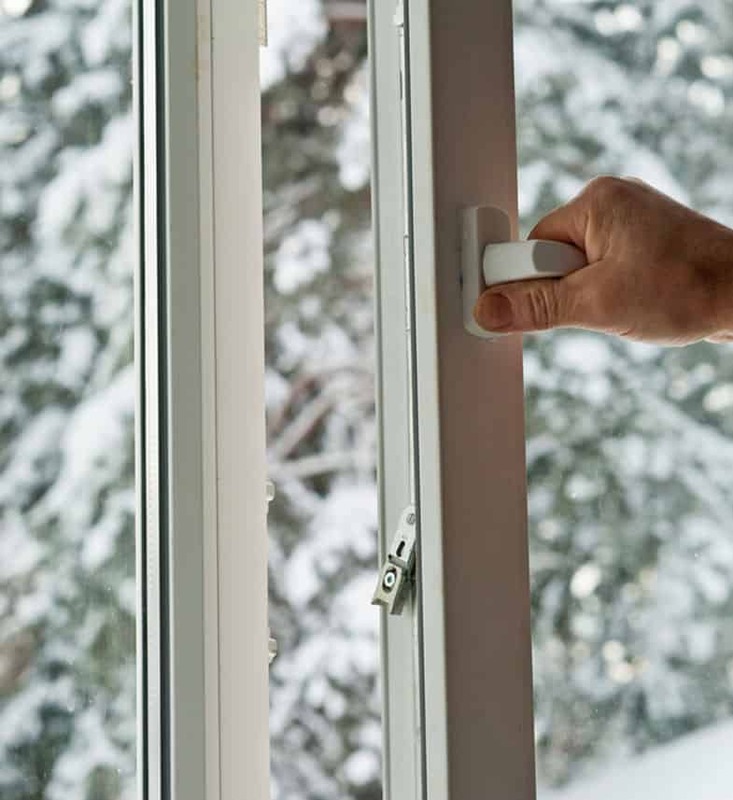 30% of heat loss happens through thermally inefficient windows and doors. Our double glazed doors are a cost-effective investment that will save you money long term. The uPVC profile is recyclable, which make them environmentally sustainable in addition to thermal efficient. 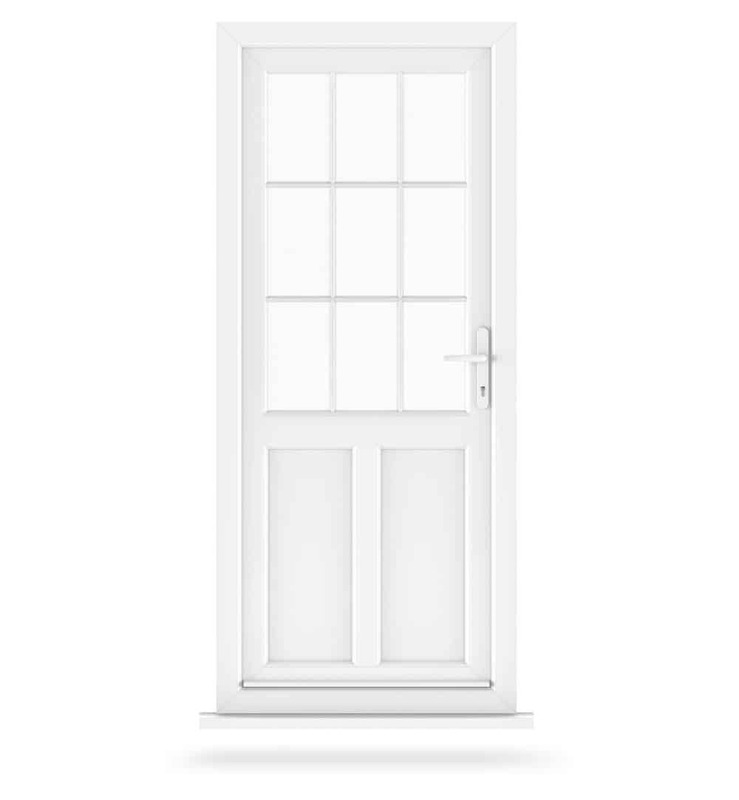 We offer extremely competitive prices on our doors; for a free online quote, visit our online quoting engine and a friendly member of our experienced team will provide you with a quote to meet your specifications. If you have any further queries, please don’t hesitate to contact us. Our staff are waiting on hand to help you with every step of the process. New double glazing is the ideal Tunbridge Wells home improvements for a total transformation of your property. Our windows and doors are exceptional, offering fantastic all round performance, as well as beautiful aesthetics which will enhance your home’s kerb appeal. Tunbridge Wells double glazing from Buy Right is cost effective and high quality. Our expert team will install your new windows and doors to the very highest standards. Our range is fantastic too, with plenty of choice so that you can find the perfect double glazing to reflect your tastes and complement the style of your property. Read on to see the features and benefits of double glazing in Tunbridge Wells from Buy Right. We pride ourselves on offering the best windows and doors to our customers in Tunbridge Wells, which is why we work with Liniar. 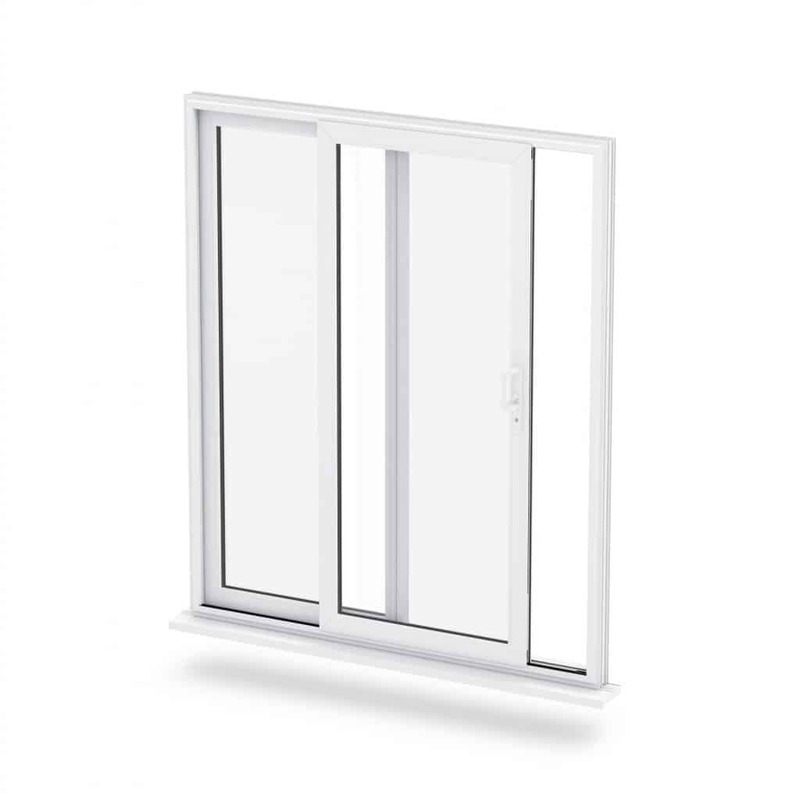 This cutting edge collection of double glazing offers affordable, high performance products. Our stunning double glazing in Tunbridge Wells is incredibly impressive, it could even improve your property’s EPC rating, making your home more appealing should you ever wish to sell. All of our windows and doors meet the highest security standards. The uPVC profiles are internally reinforced, with minimal need for steel, making them robust and durable. In addition to this, we fit our double glazing with state of the art Yale locking mechanisms, perfectly designed to offer high end, long term protection. Many of our windows and doors are even Secured by Design accredited, confirming that they meet the stringent standards of this police initiative to create secure homes. Just look for the logo as you explore our website. Double glazing in Tunbridge Wells is specifically designed by Liniar to be thermally efficient. Using a combination of innovation and technology, our windows and doors are simply exceptional at keeping your home warm. Even on the coldest of days, the mutli-chambered profiles and high performance glazing will work to trap heat within your property, and eliminate draughts, keeping you cosy and comfortable. Our uPVC windows and doors are capable of an unrivalled Windows Energy Rating of A+12. With our double glazing, you can count on superb energy efficiency. Our double glazing comes in many options for your Tunbridge Wells home improvements. This means that you are sure to find the exact match for your requirements. Our windows and doors are tailored to you and your home, featuring a range of hardware options and accessories as well as the perfect colour match. Choose from our lovely colour finishes, or perhaps our natural wood effect foils, to create a stylish look that ties in with your property’s character. You can enhance the look with our beautiful decorative glazing. Casement windows are the perfect option for any home, complementing both modern architecture and traditional aesthetics. Our sliding sash windows offer a great replacement option for period properties where replica designs are sought after. The ultimate design for functionality combined with style, tilt and turn windows are ideal for upper floors and high rise properties. These beautiful French casement windows will give your home a look of countryside charm, enhancing your property’s character. Our residential doors come in many spectacular panel designs to blend with your property, and are ideal as front doors and back doors. All the beauty of timber with none of the effort, our composite doors are a spectacular choice for luxury double glazing. Our amazing stable doors create an entrance that is practical and charming all at the same time, creating character in your home. These elegant and beautiful French doors are so versatile, making them suitable as an entrance to your garden, patio or even balcony. Our classical sliding doors are a popular choice, providing extensive views and an influx of natural light through grand panes of glass. For a complete transformation, bi-fold doors are simply exquisite, offering a luxury entrance that opens your home to the outdoors. Double glazing prices in Tunbrige wells can be tailored to any budget when you come to Buy Right for your home improvements. Our quotes are superb, and easily accessible. Simply visit our online quoting engine, or contact us for further information and guidance on your Tunbridge Wells home improvements. Creating extra space in your home is so easy when you choose uPVC conservatories in Tunbridge Wells. These stunning conservatories offer the space and lifestyle that you would benefit from with an extension, but are far more cost effective and less disruptive. Here at Buy Right, we are experts in uPVC conservatories, and will work with you from initial design through to after the installation to ensure that every aspect of your home improvements meet your needs. Find out more in our handy guide to uPVC conservatories in Tunbridge Wells and discover the benefits and features of these stunning home improvements. Our uPVC conservatories in Tunbridge Wells are perfectly designed and constructed to provide year round living space. You can enjoy your extra room on even the coldest of days, as there will be no draughts, cold spots and heat loss is minimised through the thermally efficient profiles. In the summer, you can enjoy a comfortable breeze through the superb ventilation. Your new uPVC conservatory meets all the security standards set by our windows and doors. You can count on superior locking systems, as well as sturdy and robust profiles that will protect your home from even the most determined of potential intruders. Our exceptional conservatories are built to the highest standards, making them secure and safe, and they can even withstand our harsh British weather conditions. Our uPVC conservatories come in a range of stunning designs to meet your needs, all of which are completely tailored to your tastes. You can choose from stunning decorative glazing, beautiful colour finishes and woodgrain foils, as well as a selection of hardware options and accessories. Take a look at the summaries of our stunning conservatories below and see which one is the ideal match for your property and your tastes. uPVC Victorian conservatories in Tunbridge Wells are one of the most sought after designs, thanks to the classical design. They are available in either a three facet or a five facet design, that gives beautiful all round views of your garden. These uPVC conservatories have a wonderfully traditional finish which incorporates lovely finials and finishes. Every detail is simply exquisite, making them ideal for contemporary homes and period properties. For exceptional space and an elegant and minimalist design, our amazing Edwardian conservatories are a fantastic choice. They are created in a square or rectangular shape, providing you with practical floor space. For uPVC conservatories that provide a variety of functional options, these beautiful and simple designs are a wonderful choice. If you are looking for uPVC conservatories that offer a luxury appearance, and really make a visual impact, then gable conservatories are the ideal choice. They combine the functionality of the Edwardian floor space and structure, with the spectacular beauty of a glass roof, replicating the end of a traditional house. This stunning design draws the eye upwards and floods the room with light, creating a relaxing and charming space that is truly bright and airy. No matter what space you have available in your home, a lean-to conservatory can turn it into a useful and enjoyable area. 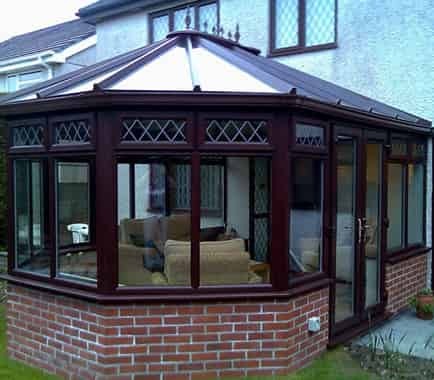 These cost effective conservatories are superb for terraced homes and properties with low eaves, as they are superbly versatile. They can even create the most incredible extensions to your living space. Our lean-to conservatories are adaptable to your every need and are perfect for modern and traditional homes in Tunbridge Wells. uPVC conservatories in Tunbridge Wells come in a variety of styles and designs, however, if you are looking for something a little more special, or perhaps you have an awkward area in your garden that you want to make the most of, then our bespoke conservatories could be the perfect choice for your home improvements. Bespoke conservatories are uniquely designed to meet your every requirement, and our designer will work with you to create the perfect match for your home and your needs. uPVC conservatory prices in Tunbridge Wells are far more cost effective than brick built extensions, and you might be surprised at the low costs we offer at Buy Right. 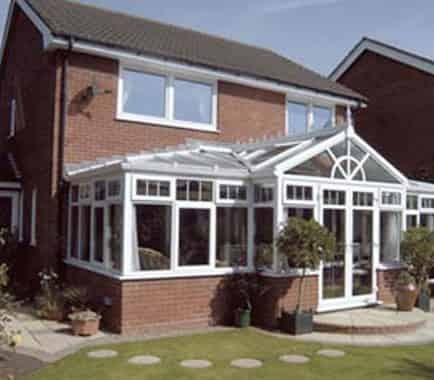 Our conservatories are specifically designed to meet your needs and your budget. Why not take a look at the costs involved with our online conservatories designer, or get in touch with our friendly team. We are happy to help you with any uPVC conservatories queries you may have, and there is absolutely no obligations attached. uPVC windows are a superb choice for your Tunbridge Wells home improvements, as they offer a whole host of benefits and features that will enhance your property. 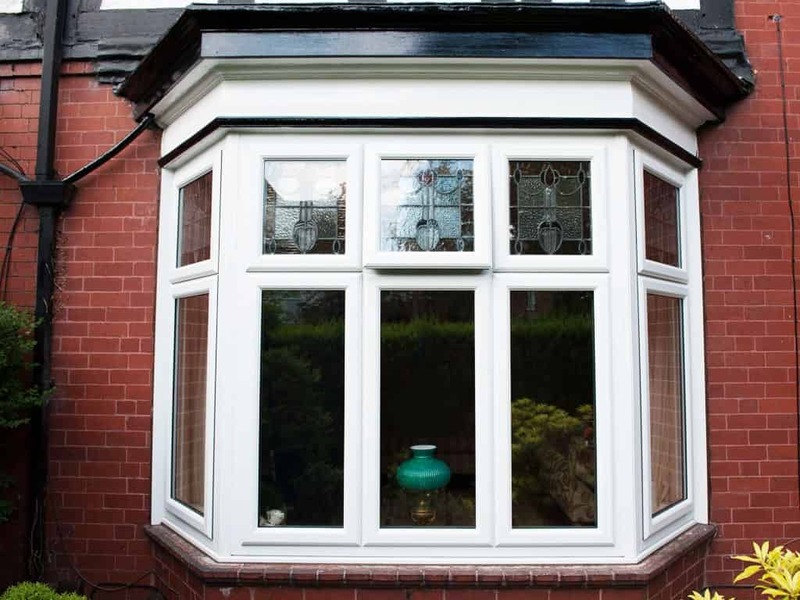 When you replace your old and tired double glazing with stylish new uPVC windows with Buy Right Windows, you will enjoy a warmer and more secure home. Our uPVC windows are truly exceptional, outclassing competitors in so many ways. They are a truly cost effective option, making your home improvements a brilliant long term investment that you will benefit from year after year. Find out more in our guide to uPVC windows in Tunbridge Wells. uPVC windows are so stylish. They come in a range of options, all of which can be customised to meet your needs and complement your home. Gone are the days of simple, white uPVC, our modern windows can look as traditional as timber or as modern as aluminium! uPVC windows are ideal as you can choose from a range of colour finishes and woodgrain foils to create the perfect aesthetic for your Tunbridge Wells home. For more privacy, or individuality, you can also choose from a wonderful selection of decorative glazing too. Every detail is taken into account when you choose your new uPVC windows, right down to the hardware and accessories that create the perfect style for your home. We offer the following uPVC windows styles in Tunbridge Wells, ensuring every type of property is catered for. 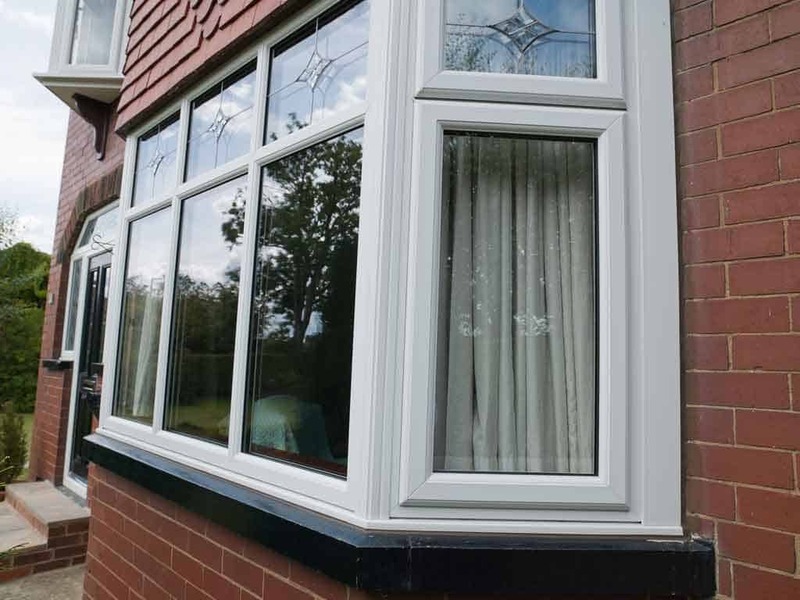 Perfect for any style of home, our uPVC casement windows can equally appear traditional and classical as well as modern and sleek, simply with a few adaptations to the finish. They are one of the most popular uPVC window styles thanks to their versatility and beautiful appearance. Our traditional sliding sash windows are perfect for older homes, enhancing the character and charm of the property. They are based on a 19th Century style, yet are brought into the 21st Century with precision engineering and cutting-edge technology. No other windows offer the same simple beauty and exceptional practicality of tilt and turn windows. They are perfect for hard to reach areas, such as upper floors or high rise properties, as they offer a range of safety features that are superb. Your home can benefit from all the charm and grace of country cottages with our French casement windows. They will blend in with your property, enhancing its character, and they will also provide you with the most impressive and unrestricted views of the outdoors. Looks aren’t the only important factor when choosing your new uPVC windows and doors, and with our range of double glazing from Liniar, you can expect high performance features too. Our uPVC windows will keep your Tunbridge Wells home cosy and warm no matter how cold it is outside. They are cleverly designed with a multi-chambered profile and thermal dam to block cold air from entering your property as well as trapping warmth within. They can achieve an outstanding Windows Energy Rating of A+12! The benefits of this are extensive. Not only will you feel more comfortable as you relax in your home, but you may notice you use less heating to stay warm, which will result in lower energy costs. Of course, as with every opening in your property, your windows need to provide impeccable security, keeping you safe and protected. Liniar uPVC windows are constructed with hidden strengthening technology which helps to create an almost impenetrable frame, and we then enhance this with high-security Yale locking mechanisms, ensuring you are completely secure. Our uPVC windows will give you the peace of mind you need to enjoy living in your Tunbridge Wells property, as you can be confident that you are truly safe and secure. Our uPVC windows in Tunbridge Wells come with a fantastic 10-year manufacturer’s guarantee so that you can be sure your windows will last for many years. We know that our uPVC windows are constructed using the most impressive engineering and with the very best materials available so that they will last the test of time, and we want you to be confident of that too. This is why our guarantee ensures that they will never warp, rot or fail. uPVC windows prices need not be as expensive as you might think in Tunbridge Wells. Our double glazing is reasonably priced, offering superb value for money, and you can tailor your choices to suit your budget. Visit our online window designer, create your ideal uPVC windows and find out the costs, or get in touch with our friendly team who will give you their expert advice and guidance for your Tunbridge Wells home improvements. uPVC doors for your Tunbridge Wells home come in a range of stunning designs and styles, however, when you choose Buy Right Windows as your double glazing installer, they will also be high performance. Our uPVC windows and doors are created using the Liniar profile, ensuring that they excel in all areas, from efficiency to security, giving you the best of everything. You can choose from a range of front doors, back doors and sliding doors to meet your needs, and with our expert installation, you will benefit from superior replacement double glazing for your Tunbridge Wells home improvements. Here at Buy Right Windows, we wanted to introduce our customers to our fantastic variety of uPVC doors and help you find inspiration for your home improvements. Read our handy guide to find out more. Our uPVC doors come in a range of styles for your home, take a look at our summaries to find the right one for you. Perfect as front doors or back doors, our panel doors are a stylish home improvement. They come in a variety of designs so that you can find the perfect match for your property and your personal style. They are brilliant in all areas, making your home more efficient, secure and beautiful. 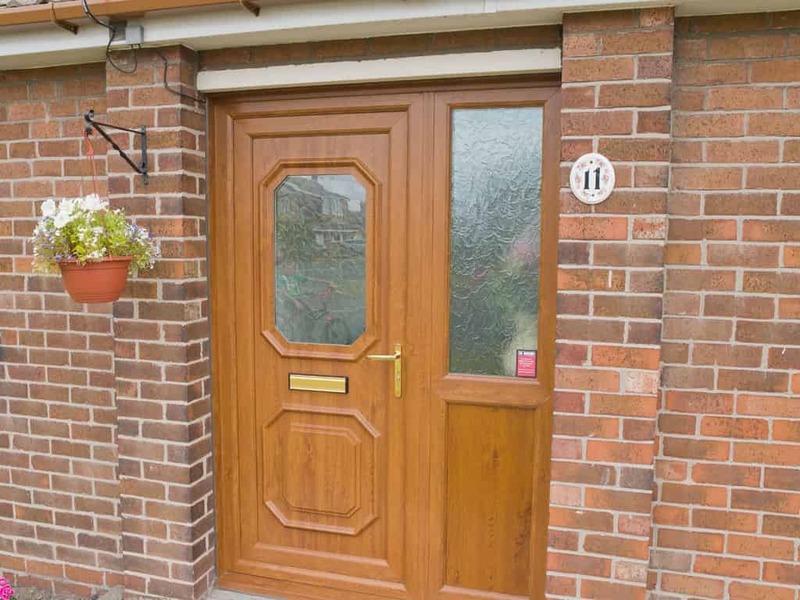 Our incredible composite doors are a wonderful choice for traditional and authentic aesthetics. They have a natural-looking timber finish and come in a range of characterful designs to complement your property’s style. They are high performance, offering incredible insulation and security. 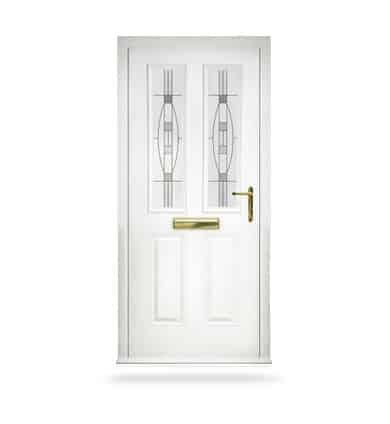 Add an element of the countryside to your home, with our charming, yet practical uPVC stable doors. These lovely doors will enhance the character of your property, and will give you great access to safe ventilation. Our elegant and stylish French doors are a brilliant option for creating an entrance to your garden or balcony. They are versatile and create a graceful beauty in your home with a feature door that also enables easy access to the outdoors. Traditional in appearance, but state of the art in performance, our patio doors combine all the best features of classic design and modern technology. 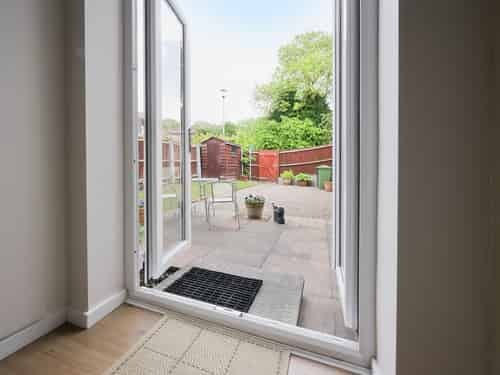 You will benefit from fantastic views and natural light flooding into your home with these uPVC doors. One of the most sought after home improvements in Tunbridge Wells, bi-fold doors create an exquisite feature in your home that gives you seamless access to your outside space. They are superb for parties and family gatherings, uniting your home and garden into one combined living area. Our uPVC doors can be tailored to your tastes and personality with a range of options. You can select from one of our many colour finishes or woodgrain foils to add character and individuality. Our panel doors can be enhanced with decorative glazing, creating more privacy and a unique aesthetic, and all of our doors come with hardware options and accessories for you to choose from. uPVC doors from Buy Right Windows will be the perfect match for your Tunbridge Wells home and will reflect your personality in style. Of course, looks aren’t everything, and our uPVC doors are also superb when it comes to performance too. Your new doors are crafted with the Liniar multi-chambered profile, ensuring unrivalled thermal performance. They chambers trap air to create a thermal barrier which keeps warmth within your home and blocks cold air outside. Every uPVC door also features the most innovative weather protection technology. 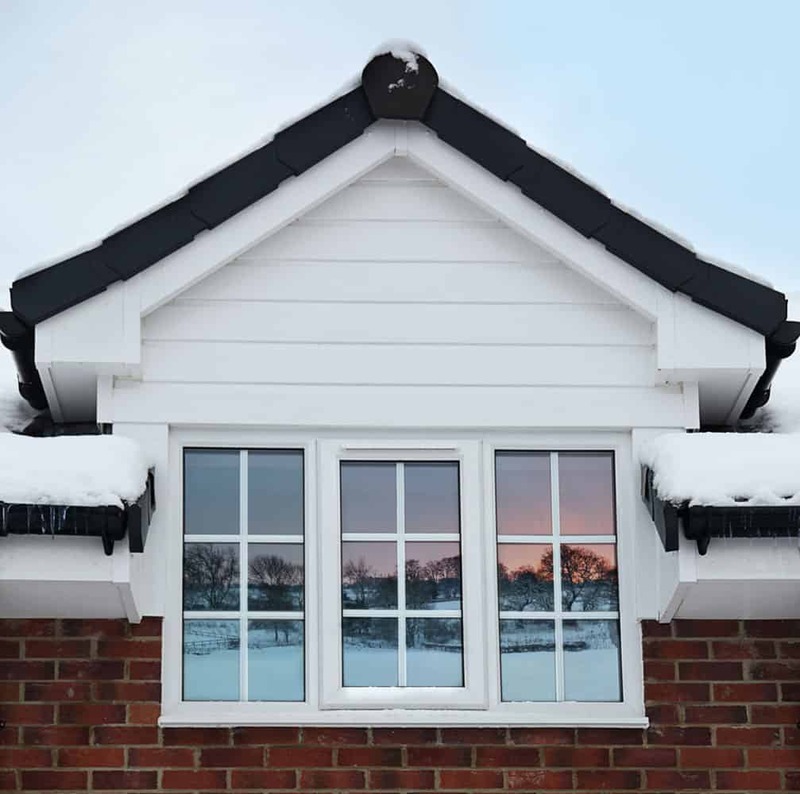 With our turbulent winter storms, keeping your property safe from the elements is vital, and our uPVC doors can stand up to even the worst of the British weather! 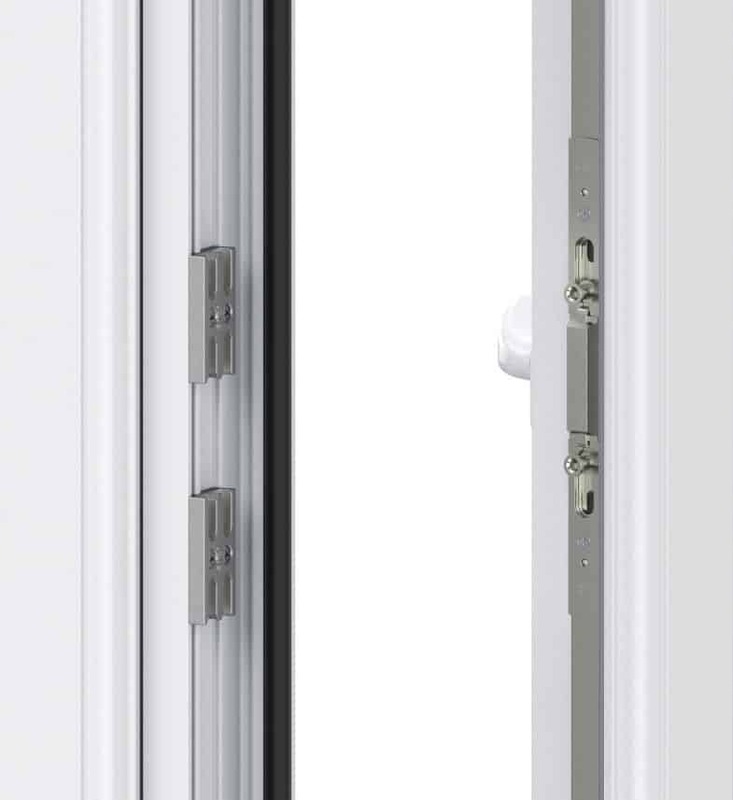 Our uPVC doors are internally reinforced to provide excellent protection against physical attacks. We then install the very best locking systems from Yale as standard. This ensures that you and your family are thoroughly protected from potential intruders. In fact, many of our uPVC doors are Secured by Design accredited, ensuring that they have achieved the most stringent expectations of this Police initiative. Look out for the symbol as you explore our website, or speak to our advisors for more information. Our uPVC doors prices in Tunbridge Wells are fantastic, and you can easily see how great they are with our online door designer. Simply pick from the huge range of options available and create the perfect door to meet your every requirement and your budget! New uPVC windows can really refresh your Sittingbourne home. They offer a beautiful appearance coupled with improved efficiency and security, making them an extremely cost effective home improvement. Here at Buy Right, we offer a range of high quality uPVC windows to our Sittingbourne customers. These stylish windows are crafted to the highest standards and will enhance your home in countless ways. Choose from our range of uPVC windows styles and create a whole new look for your Sittingbourne property! Whether your home is traditional or contemporary, we have the perfect match for you. Read on to find out about the features and benefits of new uPVC windows in Sittingbourne and how they could enhance your home. Whichever uPVC window you choose from our range, your Sittingbourne home will benefit from superior energy efficiency. We work with the innovative double glazing manufacturer Liniar to provide uPVC windows that excel when it comes to thermal performance. Every window is fitted with exceptional double glazing to maximise the thermal qualities of the design, however, the true innovation lies in the uPVC profile. Liniar uPVC windows are constructed with an exclusive multi-chambered profile which acts as a thermal barrier, blocking out the cold and trapping heat. You will find that your home is so much warmer for longer with our uPVC windows, you will even use less heating and so save on your energy bills! Our uPVC windows are at the height of design and incorporate the very latest advances in double glazing technology to ensure your Sittingbourne home is cosy and comfortable. With uPVC windows from Buy Right, you can count on superb security. We understand just how important home protection is to Sittingbourne homeowners, so we ensure that all of our windows perform to the highest standards. The clever design that makes our uPVC windows so energy efficient, also makes them superior in strength. This combined with the reinforcing we build into the frames creates a uPVC window that provides an outstandingly robust opening to your home. Our uPVC windows are all fitted with the very latest high security locking mechanisms from Yale too. This ensures that your Sittingbourne home is almost impossible to break into and that you and your family are thoroughly protected. uPVC windows used to be available in white and nothing else, however, our modern double glazed windows can be tailored to suit your Sittingbourne home and your tastes. Each window is available in a range of tasteful colours and authentic woodgrain foils so that you can get just the right look for your property. In addition to this, we offer a wide range of decorative glazing options, including obscured glass for extra privacy. Our uPVC windows can be enhanced with hardware and accessories too, making them completely customisable. Take a look at our uPVC window summaries below and see which style is right for your Sittingbourne home. Our amazing uPVC casement windows are Secured by Design accredited, giving you complete peace of mind. The stylish and sophisticated design is completely timeless and will suit any type of Sittingbourne property. They are one of the most versatile designs and complement all styles and tastes. 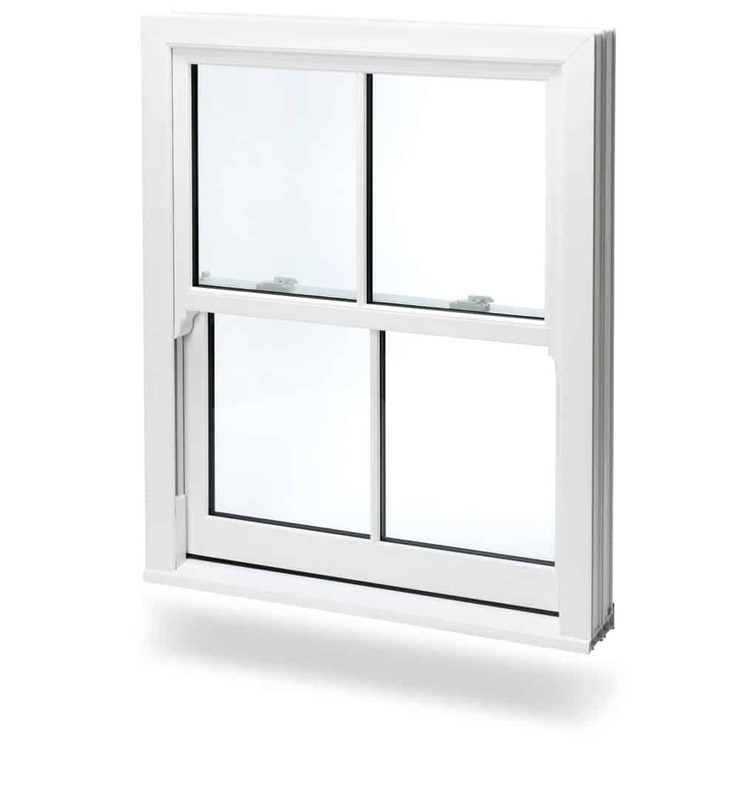 Our uPVC sash windows are an elegant choice for your home. They offer authentic heritage styling, making them ideal for period homes. They can also be used in modern properties to add character and charm. They combine all the elements of traditional design with the latest advances in technology to create a stunning high performance uPVC window. 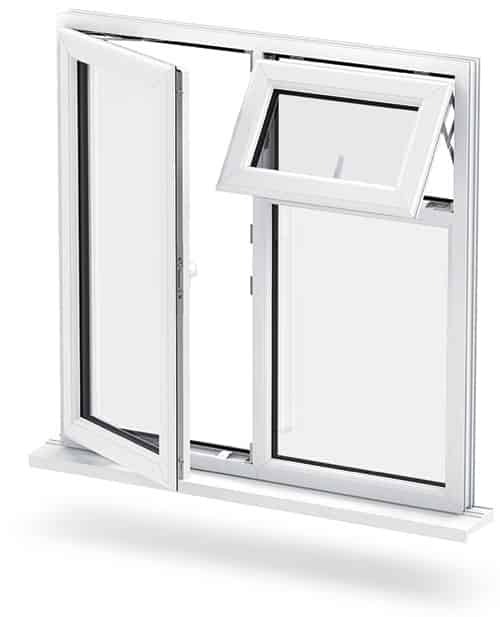 The most practical and versatile window of them all, the uPVC tilt and turn window is a brilliant choice for hard to reach areas. Perhaps you live in a high rise property, or you have awkward upper windows, our uPVC tilt and turn windows will be ideal. They are so stylish and yet they offer safe ventilation and unrivalled easy access to the outside. For beautiful country style, our uPVC French casement windows are the very best option. You will enjoy extensive, uninterrupted views thanks to the floating central mullion, and a pretty, charming look for your Sittingbourne home. 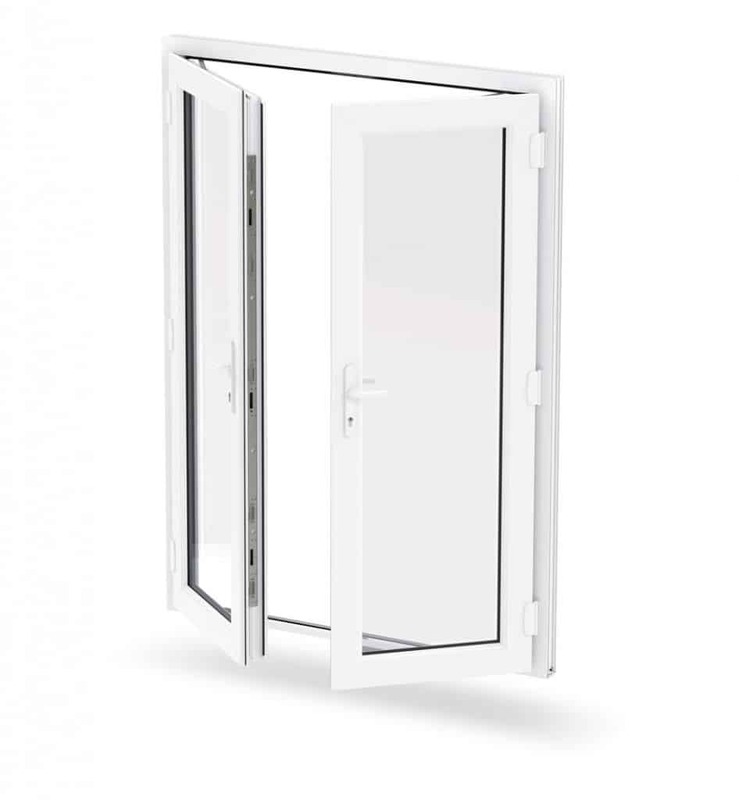 Our uPVC French casement windows can also act as an emergency exit under certain circumstances. There are so many features and benefits to our uPVC windows, why not get in touch to find out more? Our friendly team are here to help with any questions you may have and can also provide expert advice for your Sittingbourne home improvements. Our online quoting engine allows you can get an instant, personalised uPVC windows price in a matter of minutes, and we are sure you’ll be pleased with our competitive double glazing quotes in Sittingbourne. Nothing enhances your lifestyle like a gorgeous uPVC conservatory. You can benefit from additional space without all the disruption that comes with an extension when you choose a new conservatory from Buy Right Windows. Our conservatories are available in a range of styles, designed to suit any style of home. Each one is customised to suit the space you have available and your own personal tastes, making them the perfect fit for your home. You will benefit from a thermally efficient extra room that you can use all year round, and the versatility of our conservatories means that they can be used for virtually any purpose. Our team will design your conservatory so that it is the perfect fit for your home, ensuring that every detail is taken into account. You will be able to enjoy your new space in no time at all, delighting in its practicality and performance. When we install your conservatory, we will ensure that every last detail is correct. This means that there will be no leaks and no draughts, giving you a high performance living area. Our team are motivated and they are perfectionists, highly trained, they will take pride in ensuring that your conservatory installation meets the highest of standards. Of course, they are all safety conscious, so disruption will be kept to a minimum and they will ensure that tools and materials are not left lying around as trip hazards or even temptations for inquisitive little fingers. When installation is complete, they will leave your home clean and tidy, just as they found it. 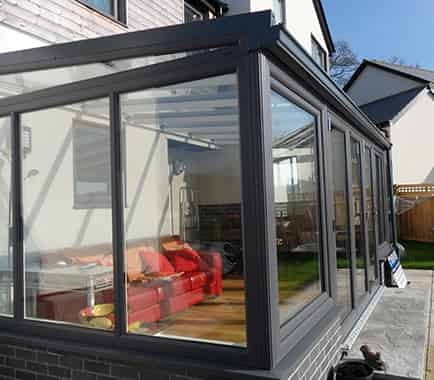 Our conservatories use the most innovative advances in design to ensure that the new structure is highly thermally efficient and superbly secure. The clever construction will mean that in the cold winter, your conservatory will be comfortable and cosy, with heat loss minimised through our energy efficient design. 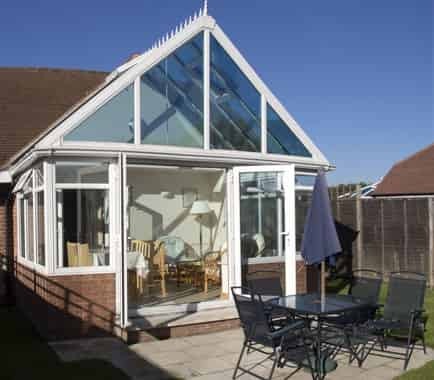 In the summer sun, your new conservatory will be easily and efficiently ventilated, meaning you will never be too hot when enjoying your new space. 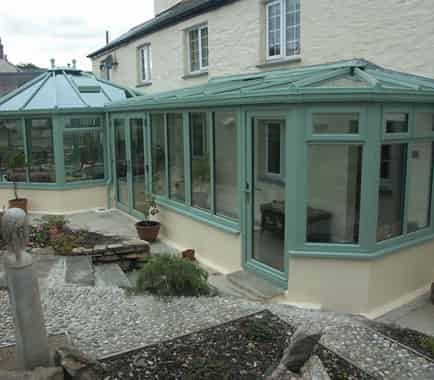 We offer a range of conservatory designs, all of which can be customised to suit your needs. Whether you want a woodgrain finish, so that your uPVC conservatory emulates traditional timber, or perhaps a tasteful colour that reflects your personality, these things are all possible. The Victorian conservatory is the traditional design that most people imagine when they think of conservatories. It has a beautiful shape that creates a stylish look for your new space. Neat and elegant, it offers a traditional appearance that will suit most properties. Our Edwardian conservatories are perfect for when you want to maximise the space available. They come in a rectangular or square shape, enabling you to utilise every corner. These conservatories make ideal dining rooms or lounge areas. The gable end conservatory is the pinnacle of grand design. They are created using either a Victorian or Edwardian base structure, then topped with a high apex roof that is much like the gable end of a house. This gives you a beautiful design that maximises natural light and creates a unique and stunning feature. Our lean-to conservatories are perfect for when you have a low roof, or perhaps limited space. Designed to lean against the property, they make the most of any area and are great for bungalows or properties with low eaves. Practical and beautiful, the lean-to conservatory suits any home. When none of our standard designs are quite right, you can pick and choose elements of each one to create your perfect bespoke conservatory. Perhaps you have an awkward space, or perhaps you simply like the design features of one style and the shape of another, whatever the reason, a bespoke conservatory is the perfect choice. Use our online quoting engine to get a free, instant and competitive conservatory price. 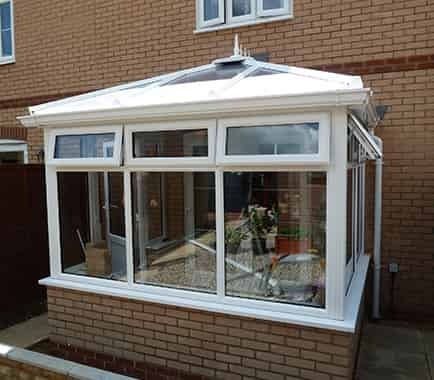 We are proud to be able to offer great conservatory prices to our Chatham customers. We are incredibly competitive and our conservatories offer a cost effective alternative to a time-consuming extension. Contact us and we will be able to discuss your requirements for your new conservatory as well as provide you with a free, no obligation quote. You can buy quality uPVC doors for homes in Chatham from Buy Right Windows. Our customer service is outstanding, we are here to help you every step of the way in your home improvements. Our uPVC doors are simply amazing. We supply and install a wide range of styles, all of which can be customised to ensure they are the perfect match for your tastes and your home. Whether you need a new front door, or you want to enhance your lifestyle with a sliding door, we have a great selection for you to choose from. Here at Buy Right Windows, we only offer our customers the very best double glazing products on the market. Our uPVC doors are manufactured by the market leading company Liniar meaning that they offer exceptional performance in all areas, from efficiency to durability and security. The innovative Liniar uPVC door frame uses the most cutting edge technology to create a product that truly excels. It is designed to provide immense durability, giving you many years of incredible performance, making these double glazed doors incredibly cost effective. 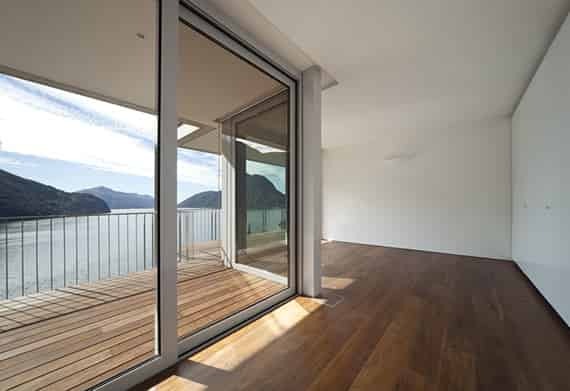 Liniar use the highest grades of materials and 21st Century design to ensure that their door frames outclass the rest. When it comes to home security, our uPVC doors are unrivalled. Designed to be incredibly strong, using clever internal strengthening technology, these doors are wonderfully robust. When you combine this with the state of the art locking system from Yale, you can be confident that our uPVC doors will keep your family and home protected. In fact, the extreme security offered by our double glazed doors is of such a high standard, that they have been awarded Secured by Design accreditation. This police preferred specification means that our doors have been rigorously tested against the most intense physical attacks and have performed exceptionally well. We all know that thermal efficiency is not only good for our home, but also for the environment, so we can assure you that our double glazed doors offer superb thermal performance. 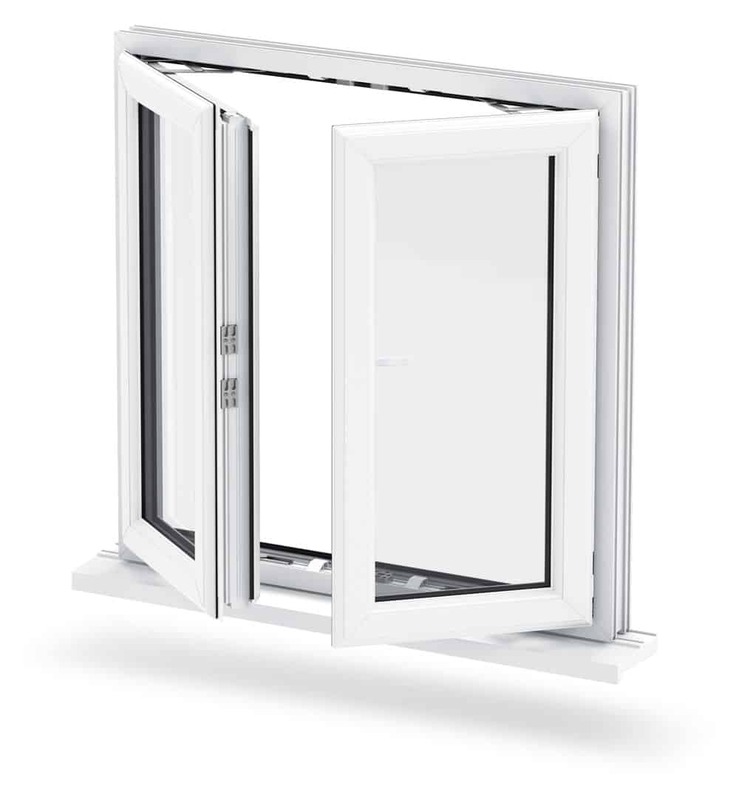 Using the revolutionary Liniar multi-chambered design, they offer outstanding energy efficiency. These incredible doors have integral size-optimised chambers that break up mini-convection currents and trap in pockets of warm air. When this aspect is combined with superior weather gaskets, a thermal dam and a high quality uPVC profile, you will feel the immense benefit. Not only will your home be warmer for longer, but as that warmth is trapped within your property, you will use less heating which in turn, will lower your energy bills. 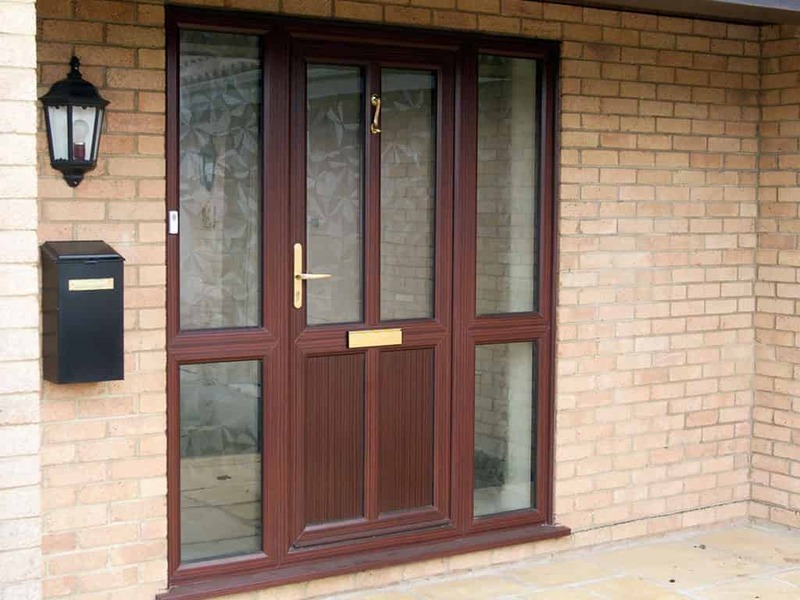 We offer a range of styles of uPVC doors for your Chatham home. You can personalise each one with a variety of glazing options and a range of colours and woodgrain foils, making these doors the perfect choice for your home. 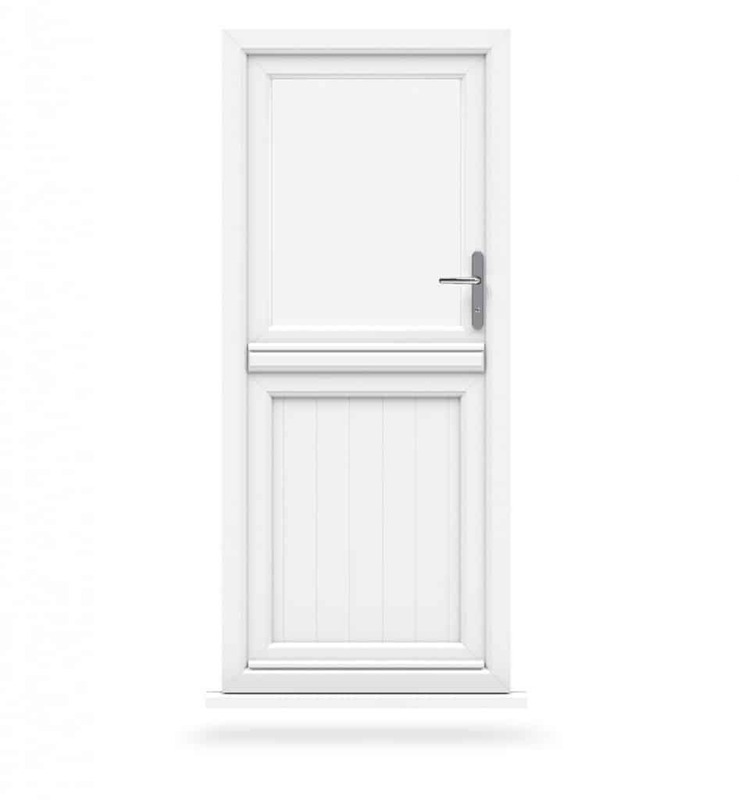 Whether you are looking for a front door, or a back door, our uPVC doors are perfect. They come in a range of panel designs, meaning that you can select the exact door to match your tastes and your home. 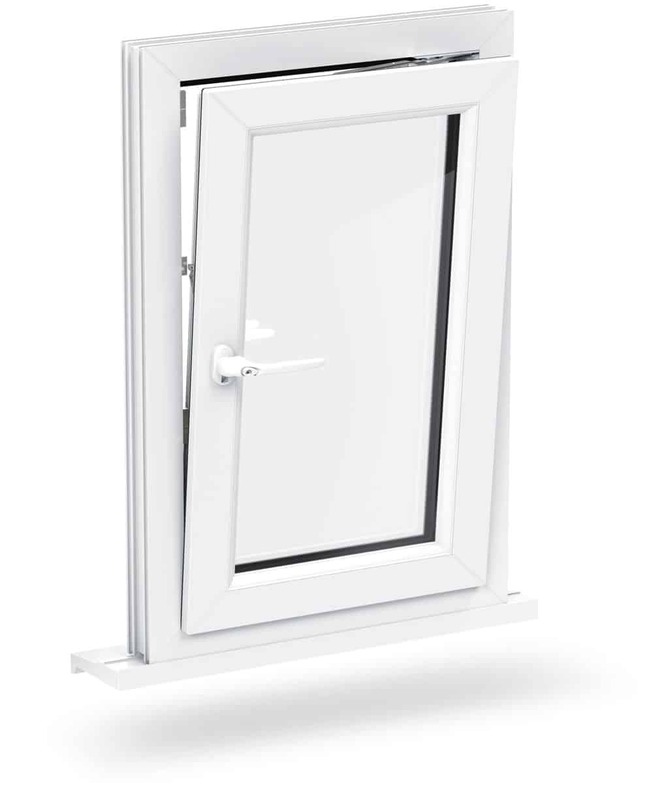 Our uPVC stable doors offer a versatile back door solution, enabling you to have access to ventilation while still keeping your young children and pets safe. They add an element of country charm to any home. When you want an entrance to your garden that oozes style, then our uPVC French doors are for you. Extensive glass areas ensure that your home is flooded with natural light all year round, making this door a truly delightful choice. The floor to ceiling glass and smooth gliding operation of our uPVC patio doors is second to none. You will benefit from stunning views of your garden all year round and easy access, perfect for entertaining. Our bi-fold doors offer the ultimate in luxury. Creating a complete wall of glass, these stunning sliding doors will enhance not only your home, but your lifestyle too. You will delight in the connection between your indoor and outdoor living spaces, giving you a truly wonderful area to enjoy. Our uPVC door prices in Chatham are highly competitive, as we like to ensure that our customers get the best value for money when it comes to their home improvements. It’s so easy to get a double glazed door quote from us too, simply visit our online quote calculator, enter your specifications, and your will receive a virtually instant, personalised price. Try it now!